We know that we can’t stay in one place forever, we have to eventually leave and start a new life somewhere else. It is going to be hard, but you can make it easy by providing a 30-Day Notice. A 30-day notice is like a two weeks notice that you have to inform someone that you are leaving. 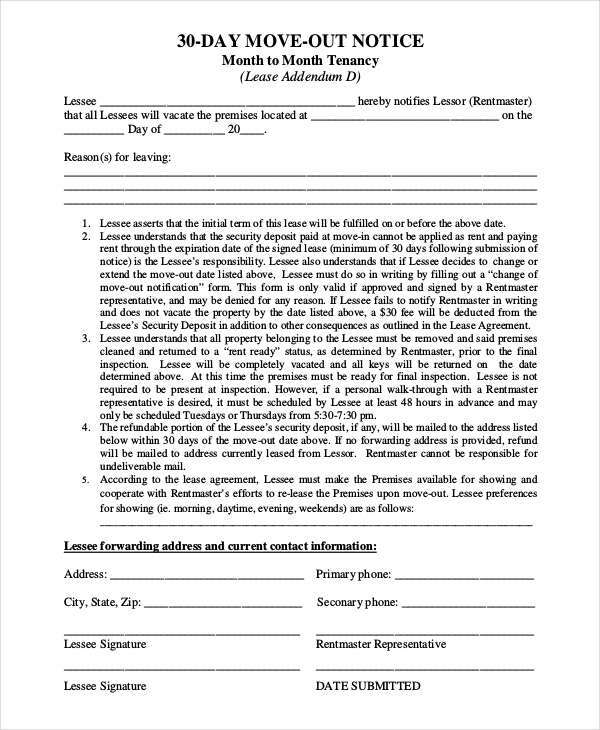 In a 30-day notice, it is the landlord that you have to inform that you are moving out from his lease. But it isn’t only you that can provide a 30-day notice. If you show misconduct or failed to pay the rent, then the landlord will give you a notice to quit and eventually give you a 30-day notice. What Is a 30-Day Notice? 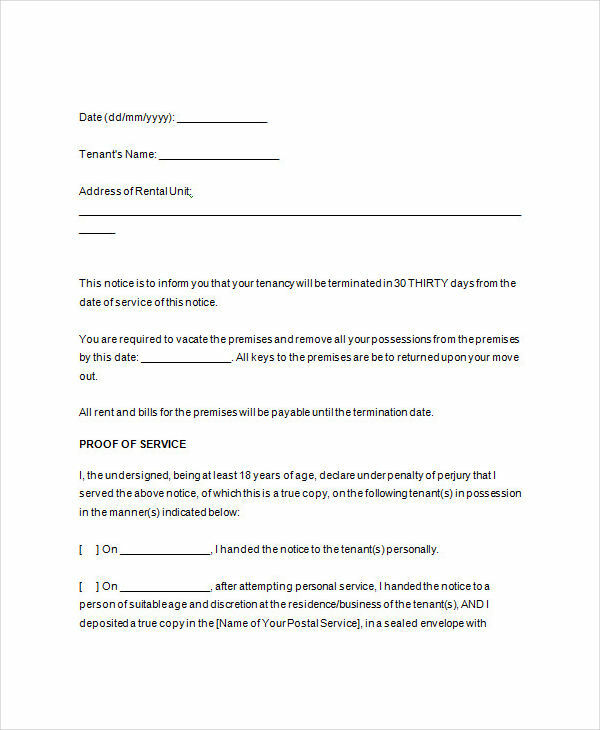 A 30-day notice is a notice given by the landlord to a tenant or vice versa to move out in the premises within the span of 30 days. 30 days is the common period required by most state and local landlord. The idea of the 30-day notice is to give the landlord sufficient time to try to find a potential client to rent the place without having to vacant it for too long. That way, it will not hurt the cash flow statement of the landlord and give a smooth transition to both parties. To get you started of the 30-day notice, we offer 30-day notice example in Excel, Word, and PDF format. As a landlord, it’s appropriate that you give a tenant the 30-day notice if they have failed to pay the rent or for their bad behavior. 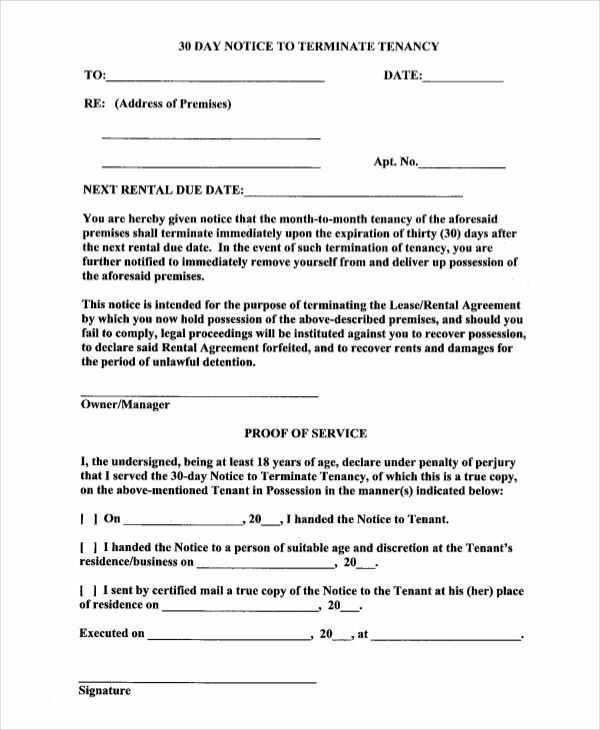 But if the tenant failed to comply the 30-Days, it’s time for you to get formal and use a termination notice. But that’s very unlikely to happen if use an effective 30-day notice. Writing it is as easy as most job notice examples, here’s how. Make the notice look formal. This is for the tenant to take the notice very seriously. Start with details. The date, tenant’s name, and their address. State the reasons why the tenant needs to vacate. Emphasize that they only have 30 days. 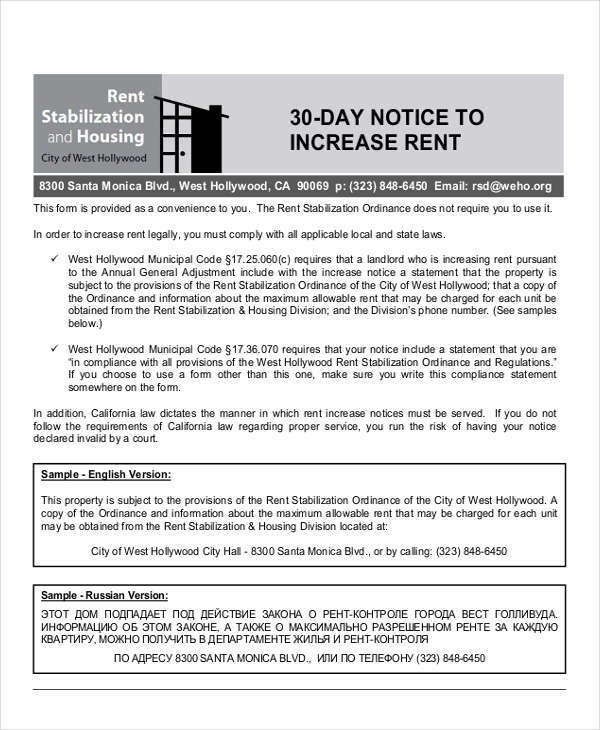 Enclosed with an envelope and personally give it to the tenant. What Should a 30-Days Notice Say? 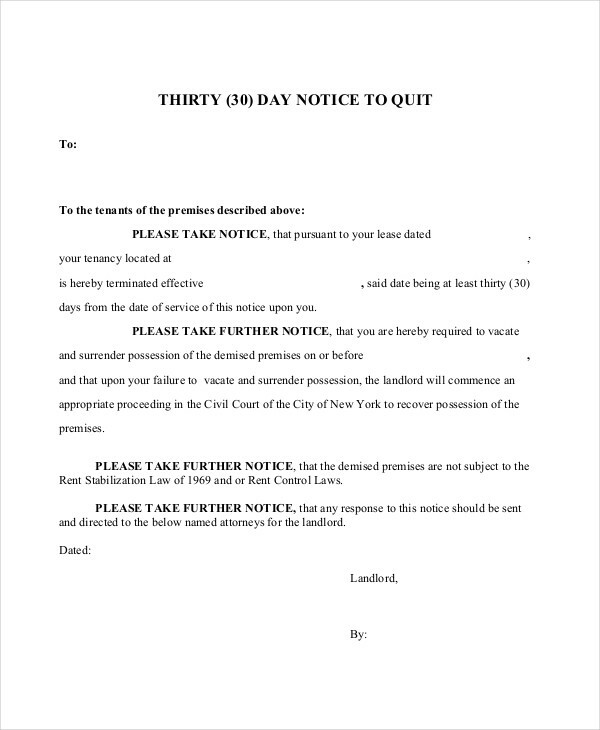 If you are a tenant and decided to move out, then you are obliged to give your landlord a 30-day notice. 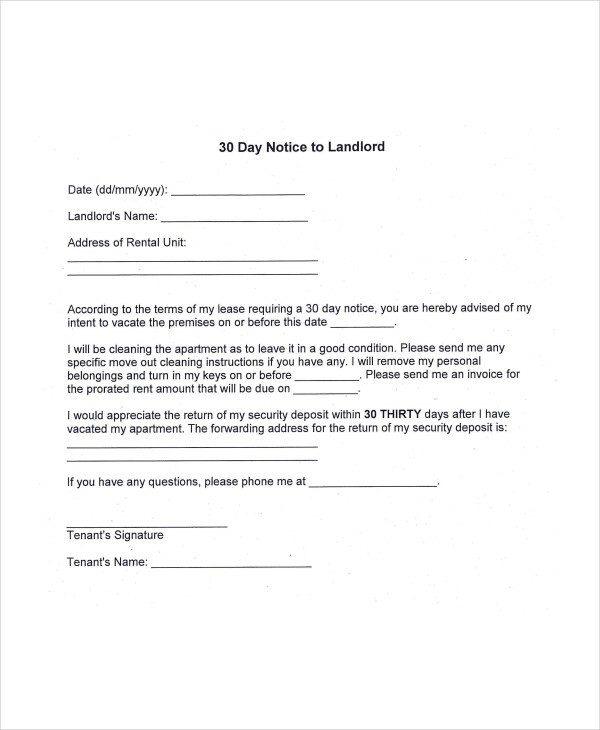 Inform your landlord by providing a 30-day notice so that everything will work well to both you and to your landlord. 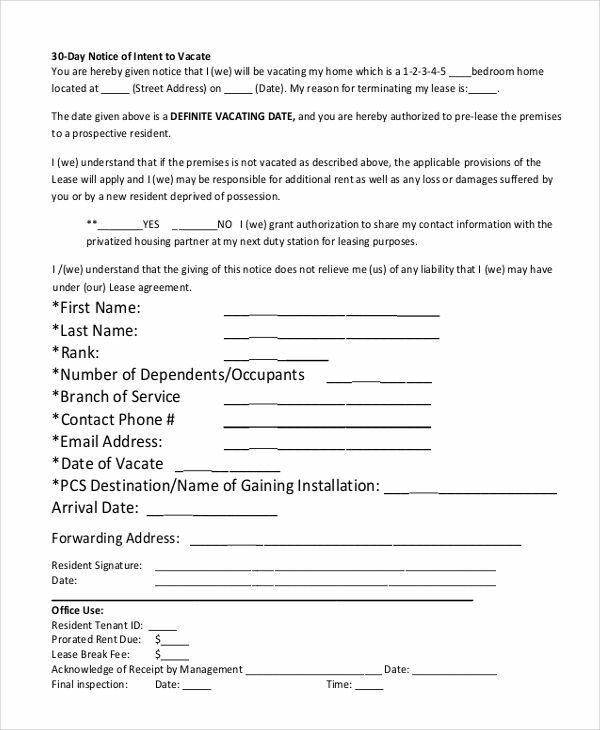 Your 30-day notice should include your reasons as to why you are vacating the place and the date of your departure. Keep in mind that it should be within 30 days from the date you are giving the notice. Include a forwarding address so that if you have deposits, they know where to send it. Still having trouble as to what you are going to say in your 30-day notice? Just download our 30-day notice examples in word, pdf and Excel format. 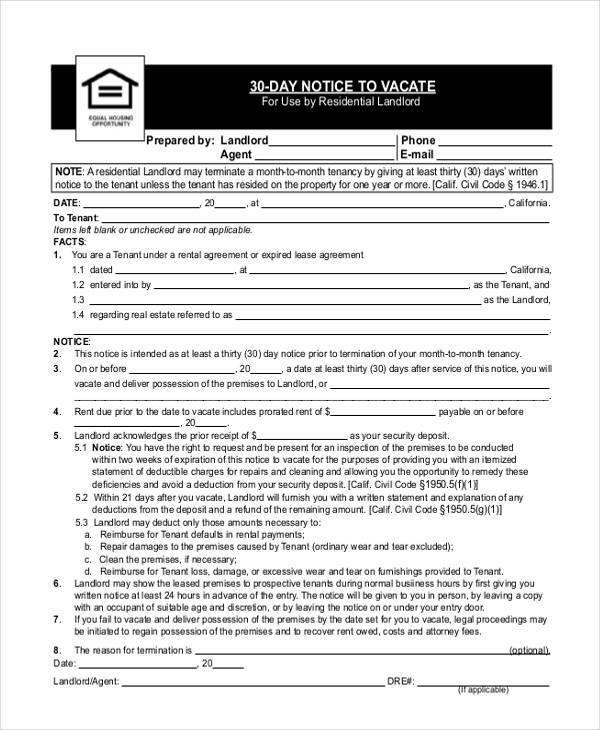 Moving out from a lease is as quite daunting as finding a new place to stay, but it can all be seamless using the 30-day notice. 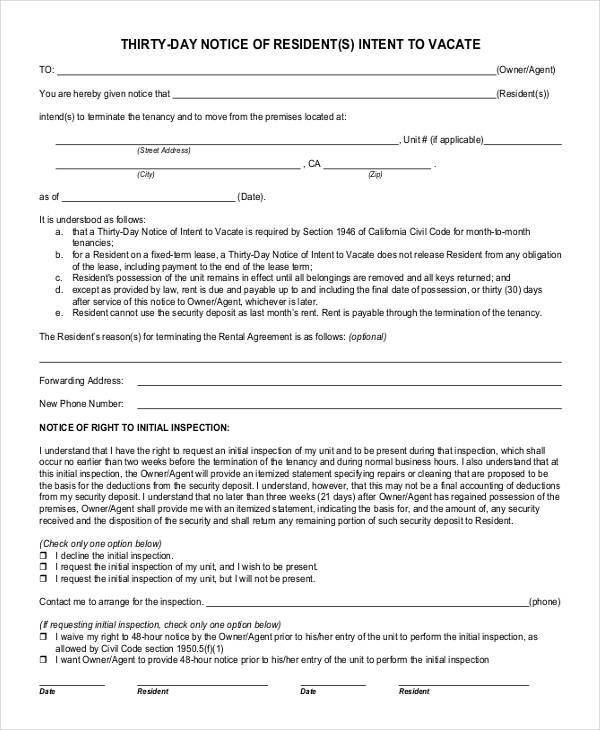 You can also use this if you wish to give the landlord a notice to vacate. Write it as a formal letter. 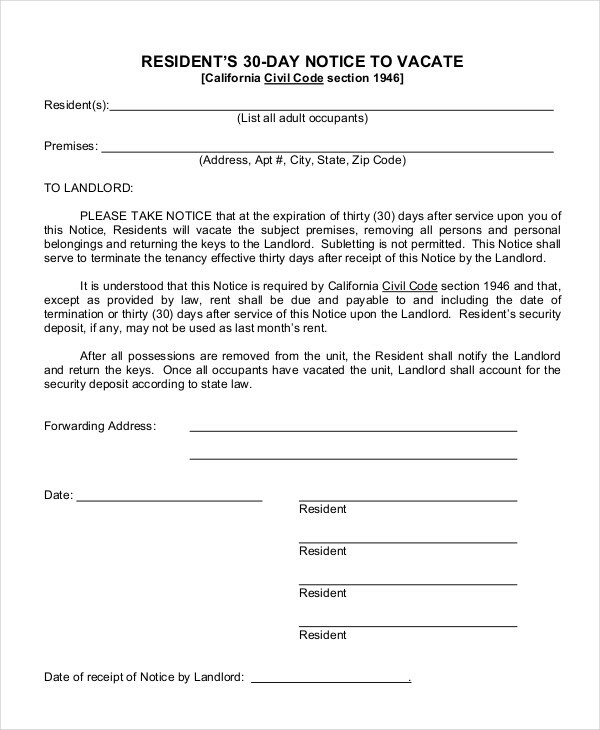 Start with the date, the landlord’s name, and his/her complete mailing address. Greet the landlord properly using a salutation, such as “Dear (landlord’s name)”. State your reasons to move out. Keep it concise but informative. Enclose in an envelope. You can give it personally or you can use a mail.